Well, I've had a string of bad luck on outboards. 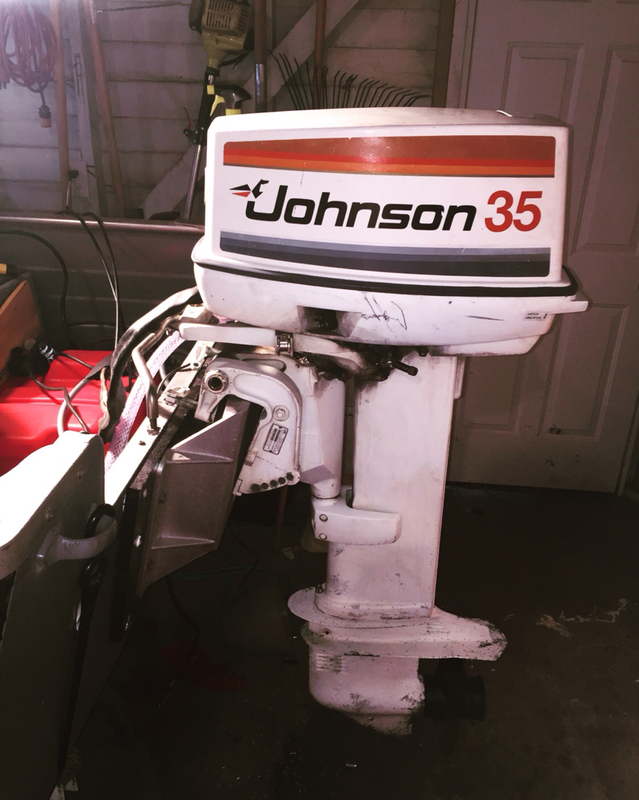 I purchased a 1978 Johnson 35 hp motor last month. It starts up great and shifted well on the muffs. However, when I took it out on the lake, it slips out of gear at about 15 mph or so. It feels like I'm hitting a stump. I believe the issue to be a clutch dog. It seems like that was a real issue with this model of lower unit. After doing some research, I'm not quite confident enough to get in to the lower unit to change the clutch dog. The bearing housing pull intimidates me a bit and I'm most worried about getting everything back together. Additionally, it looks like a new gear set runs about $300. My thought is, at that price it would be easier and not too much more money to find a used lower unit. BUT, I've scoured the interwebs and haven't found a single compatible lower unit. 1. Honestly, how difficult is it to get into the lu and change the clutch dog? I'm decently mechanically inclined, and don't mind doing most of my own work. 2. Does anybody happen to have a working LU for this motor sitting around? 3. Does anybody have a secret source for used LU's that I haven't found? Sure thing, here is a pic. That would be great, I appreciate it. This one is a long shaft, so that would likely work. Post the model number of your engine. Thanks, will do when I get home. Off the top of my head, model 35EL78R. Will update for sure when I get home. If so that would indeed be a 1978 electric longshaft. Take a good look at the powerhead and see if that engine looks like it has been overheated at all. Reason I ask is that in the 1978 vintage there is a plastic water tube coupler about half way up in the exhaust housing that melts and will NOT seal properly again. That part has been obsolete for quite a number of years as well. Was a kind of an Achilles heel for that engine and that design as well as internal and external lower unit designs changes rapidly. From around 1982 on up that engine and gearcase was pretty much bulletproof. Figures I found one of the only bad Johnson’s out there. The powerhead seems to be in great shape. The block is very clean, no flaking paint or anything. It pumps water pretty strong as well. It seems to run well excepting the lower unit issues. Thanks for the heads up though, I’ll be sure to keep an eye out for that issue. A guy has to fish, so to this point I’ve just been idling around the lake to my spots. If it has not been overheated and that coupler melted then you still have a good engine. Did not mean to be misleading. The powerheads were and still are pretty much bulletproof. When the gearcase issue is resolved please note that there is a shift adjustment at the base of your shift handle on the side of the engine that can help you from having that issue again. What is the fix for that obsolete water tube coupler if it is melted? Have not looked for a fix. Usually not worth it as the powerhead/inner exhaust has to come off to get to it.